The people of Saddleworth Moor in the North (The real North, not Scotland), are celebrating taking back control of their country from the EU Federal Super United States of Europe by adopting an old tradition from the North (not the real North) of Scotland. 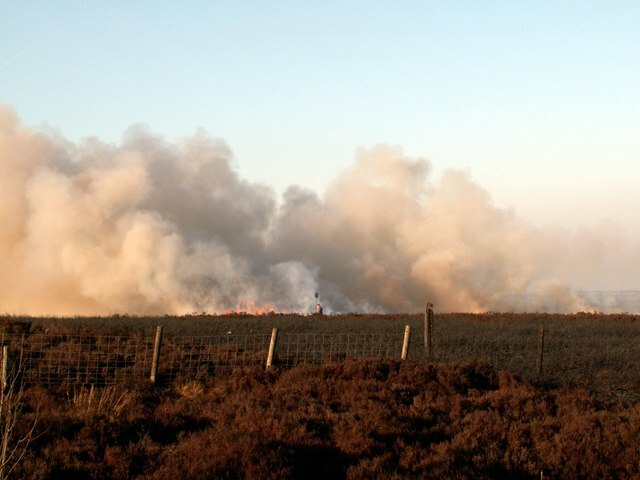 Residents of the Lancashire area have been revelling in this ancient Gaelic tradition called a falaisg (pronounced Phall-us-chkkkk) which sees large swathes of moor land set alight each year to provide grazing and fresh growth for game birds to feed on. However, the practice has become restricted in recent years due to environmental regulations brought in by the EU Commission. *Editors fourth wall breaking note – some nutters down there are actually going out and doing this.